"the home of the forest gods"
The Kushiro River is the only river that flows out of Lake Kussharo. It runs through Kushiro Shitsugen Wetland and out to sea. 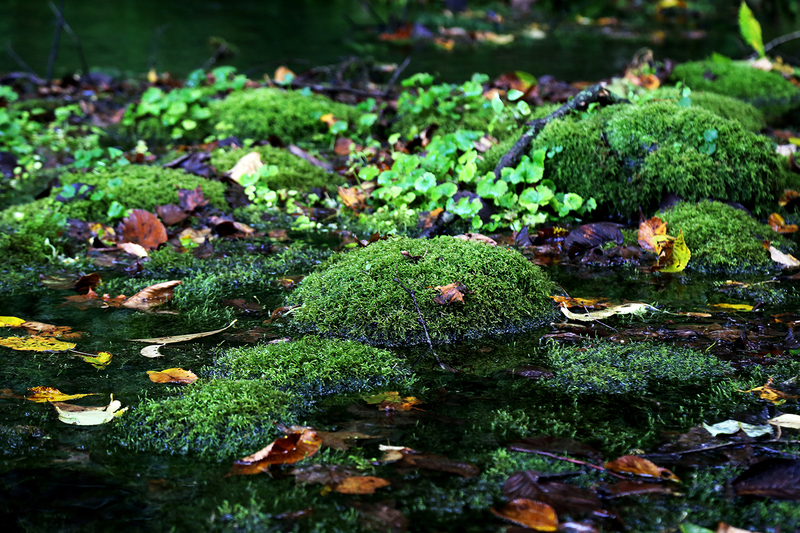 A short distance to the side of the Kushiro River is a magical spot called Kagami no Ma. Kagami no Ma is Japanese for "mirror room" and you'll see why as soon as you see how clear this spring is. The water remains below 10°C all year round, and the area offers a vastly different scene from the Kushiro River nearby. 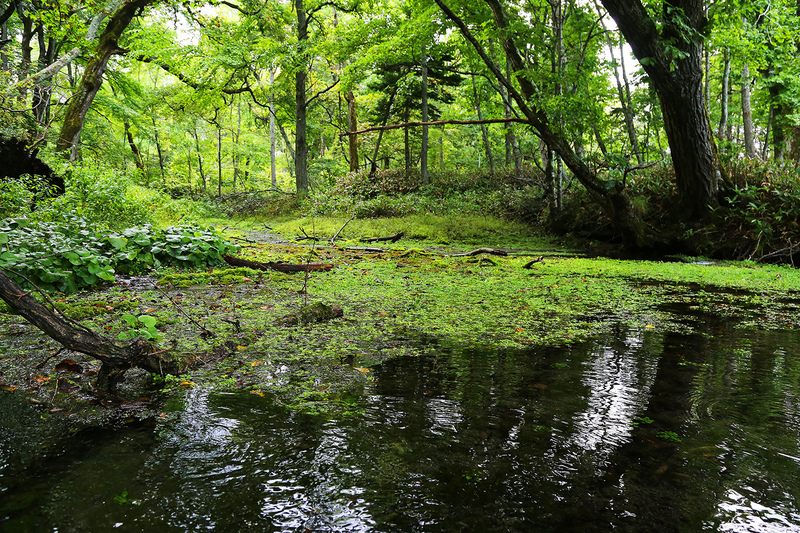 With its cool air, crystal-clear water and lush greenery, Kagami no Ma will captivate you. 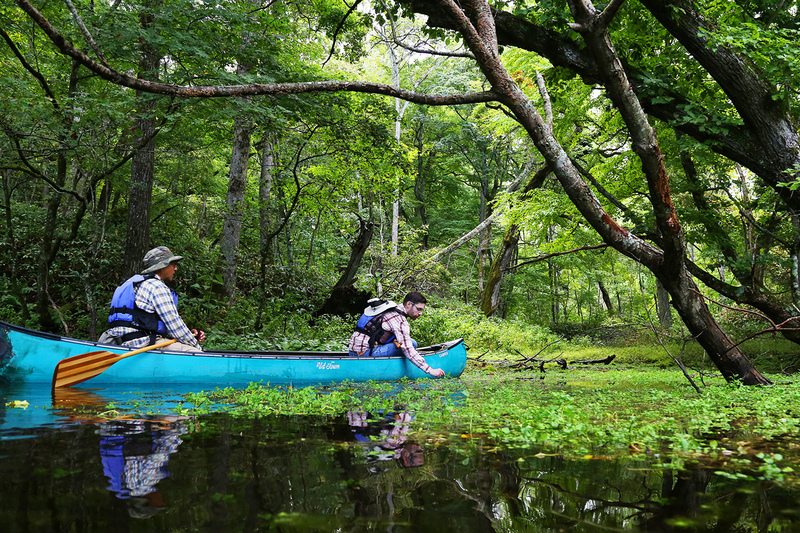 Take a canoe trip down the very beginning of the Kushiro River, where it meets the Kushiro Shitsugen Wetland. When you cross from the lake to the river, you’ll feel a rush of water propelling you forward! 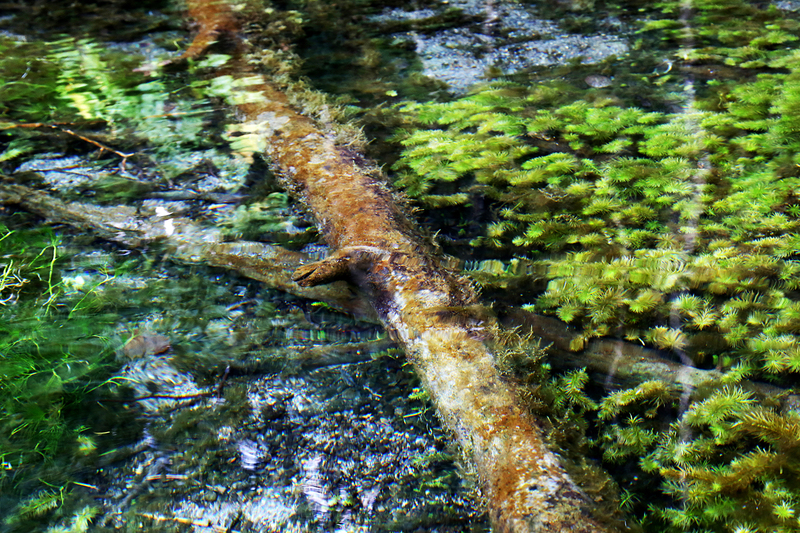 The narrow river with rugged forest on either side is a completely different world from the wetland. 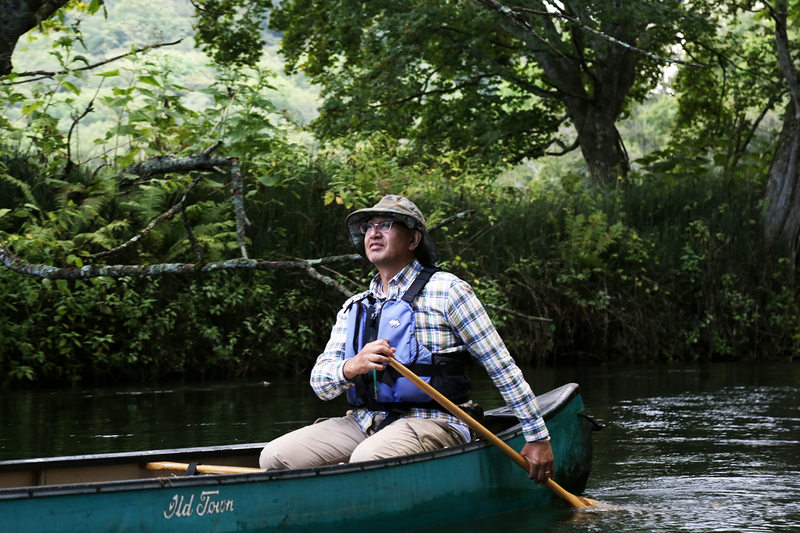 This husband and wife duo are guides at Northeast Canoe Center Ltd. They encountered Canadian canoeing in 1986 and decided to recreate it on Lake Kushiro and the Kushiro River. 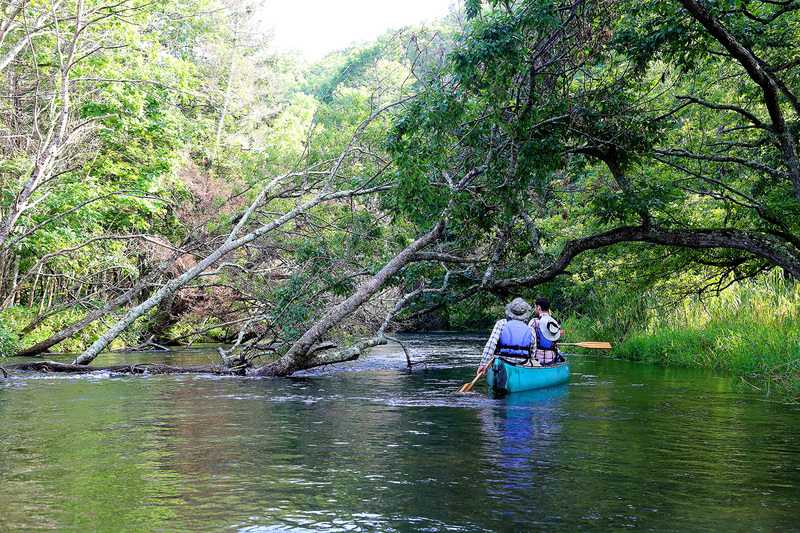 They began offering guided tours, taking visitors canoeing through the incredible nature of their hometown. After a leisurely canoe trip through the awe-inspiring nature of Lake Kussharo and the Kushiro River, Ai will make you a hearty lunch from local ingredients.